Can’t afford the points? Robert handles traffic violations as well. Robert F. Black, Jr. and his staff are friendly and affordable but will never compromise your rights. Mr. Black aggressively and passionately represents each and every client. It is his job to intimately understand the struggles you are facing. Beyond being an award winning attorney, Robert F. Black, Jr. is proud to serve as an advocate and a friend. At The Law Offices of Robert F. Black, Jr., our goal is to WIN FOR YOU! 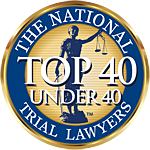 Our law firm is pleased to serve the following localities: Monmouth County, Asbury Park, Freehold, Long Branch, Middletown, Neptune, Ocean Township, Red Bank, Belmar, Brielle, Hazlet, Highlands, Holmdel, Howell, Marlboro Township, Matawan, Oceanport, Shrewsbury, Essex County, Newark, Hudson County, Hoboken, Jersey City, Mercer County, Trenton, Middlesex County, Perth Amboy, and Plainsboro Township.